My teaching, units, lesson plans/planning, and experiences in my first student teaching placement at Mason City High School in Mason City, Iowa. Pop Quiz – Ch. 3-4 - Four chapters in to the book? Pop quiz time! Call me a mean teacher, but I wanted to check that my students were reading, so I gave them a quiz over chapters 3 and 4 in To Kill a Mockingbird. Weekly Reflection #6 – Finding a Plan for Late Work - A lot happened this week: first round of conferences, introducing To Kill a Mockingbird, finishing up The Scarlet Letter, final activities for Tuesdays with Morrie, gathering and grading assignments--I was busy! One thing I've taken away from this week's craziness, however, is that I need to establish a better system for late work. “Graduation” and “Conclusion” Scaffolded Notes - After reading aloud and realizing that my students were struggling with comprehension, I decided to create a set of scaffolded notes for them to take home over the weekend and complete while reading. Modern-Day Scarlet Letters - I truly believe that students learn best when they are asked to relate content to their personal lives. That was my goal with this ending, fun activity–Modern-Day Scarlet Letters–applying the theme of hidden vs. exposed sin to students’ own lives. Journal 4 – The “Nightline” Show - As I begin to wrap up Tuesdays with Morrie in my English 10 classes, I wanted to give students the opportunity to form an opinion. Some of my students love the book. Some don't. I wanted to get them working on opinion-based narrative writing, dip into persuasive writing, and most importantly, make arguments and back them up with support! TKAM – Ch. 1 & 2 - There's a lot going on in the first few chapters of To Kill a Mockingbird. To help my students with their comprehension and understanding, I had them use a study guide to help with note-taking. 12th Tuesday Comprehension Questions - Something I started doing with my sophomore English students was read aloud from Tuesdays with Morrie. This began as an idea to help my ESL student and other struggling readers, but then it became a necessary tool to keep all students on track with their reading. The Scarlet Letter Final Essay - Every good unit ends with a paper (says every English teacher in the world!). And for The Scarlet Letter, I couldn't agree more! Finishing The Scarlet Letter - As my American Seminar students read The Scarlet Letter, we had some great whole-class discussions. Wrapping up the book was no different. Vocab Terms: Part I - Vocabulary in To Kill a Mockingbird is difficult! Even as a college grad, I found myself struggling not only to understand some words, but even how to pronounce them! TKAM – Character Maps - To Kill a Mockingbird can be a challenging text, just due to the fact that there are so many characters! I wanted to help my students organize and keep the characters straight, so I created a character map. An Eye-Opening Experience - My student teaching experience at Mason City High School has so far been an incredibly eye-opening experience. If I could name the one, most important thing that I'm pulling away from my time here, is that students come from such varied, different, and often difficult backgrounds. 5th-8th Tuesday, Study Guides and Quiz - After reading the 5th-8th Tuesdays both independently and as a class, I wanted to give my students a quiz. This time, however, I wanted a more challenging quiz, as my students had done very well on the last, multiple choice and true-false quiz. Peer Editing - Peer editing is a wonderful tool...if done effectively. When students read one another's work, they are able to see and fix errors in their peer's papers, as well as translate those changes to their own papers. They also are able to take a critical eye and put themselves in a teacher's seat for a moment, hopefully looking at their work from a flipped perspective. Poetry Workshop - To connect on a deeper, more personal level to Tuesdays with Morrie, I had my students write poems about their 'Morries', the influential people in their lives. Forest Scene Story - Okay, I'll admit it...sometimes reading The Scarlet Letter and its Old English can be difficult, and a little dry. I wanted my students to take a break for a minute and do something creative! Intro to To Kill a Mockingbird - I haven't read To Kill a Mockingbird in ages. But I knew I loved the book and I wanted my students to feel the same. To begin working with the novel, I set up a classroom activity. I split the class into groups with several topics to help preview some of the essential background information. 7th Tuesday Reading Quiz - Want to check that your students are reading? Here's a simple quiz you can give them over the "Seventh Tuesday". Scarlet Letter Discussion Groups - My American Seminar students have read up through chapter 18 in The Scarlet Letter. This point in the novel is filled with important themes, changes, symbols, and relationships, and to make sure my students were noticing and understanding these, I made a group discussion activity for them. Who’s My Morrie? - I wanted to switch up activities in my English 10 classes and instead of having them write another journal or essay-type of response, I decided to have them write two poems. These would be about people who influenced them positively--their 'Morries'. Journal 3 – Family - To help my students connect their lives to the story, Tuesdays with Morrie, I wanted them to write about themselves--right now, in this moment. Tuesdays with Morrie, Mid-Book Quest - I needed to asses my students' comprehension. It wasn't enough to read their worksheets or to peek over their shoulders during individual work time. I needed to know exactly what my students had learned, so I decided to make a Tuesdays with Morrie Mid-Book Quest. Old Man and the Sea Outline - My Honors kids have been struggling with thesis statements. They have great ideas, they just aren't articulating them into arguments. And thus their papers (and grades) are suffering. So I decided to do something a little different for their Old Man and the Sea papers. I wanted to help them out. Scarlet Letter Quiz - Tests and quizzes are great for making sure students have read and for assessing their comprehension. Across my classes, I've done plenty of formative assessments, but for my American Seminar class specifically, I needed to mix in a summative assessment to see how much the students had actually retained from reading and discussion and to see what parts of the book I needed to discuss. Old Man and the Sea Thesis Statements - The next objective for my Honors 10 students was to write a thesis statement. In the class before, they had (on their own) brainstormed topics to write their research papers on. Now they were told to pick a topic/question and bring a thesis statement to class. Old Man and the Sea – Paper Topics - Now that my students have presented on the Old Man and the Sea, their next objective was to write a paper on the book...but just like with the projects, I wanted the students to have ownership--they were going to pick their own topics. Is Love Rational or Irrational? [Part 2] - This lesson is a follow-up to Is Love Rational or Irrational? [Part 1], which is primarily focused on the question of love being rational or not. Is Love Rational or Irrational? [Part 1] - Today I started my English 10 class in a very strange way. I sat at a chair in the front of the room, and for the first five minutes, stayed absolutely silent. Journal #2 – Being Your Age - September 21: By this time, my English 10 students are up to page 60 in Tuesdays with Morrie. Perfect time to assign another journal. Old Man and the Sea Projects - For today's lesson, I wanted to spice things up a bit. Over the past few days, the students in my Honors 10 classes had read The Old Man and the Sea by Ernest Hemingway. The book is small, easy to read, but packed with symbolism and author influences. I wanted to see how much the students had comprehended, but I also wanted to challenge them to think deeply about the book--going beyond the simple plot line. Connecting to Tuesdays with Morrie – Making Bucket Lists! - Today was a shortened day because of Homecoming. Classes were only twenty minutes, but I still wanted my students to do something pertaining to Tuesdays with Morrie, while being fun! So I had them make their own Bucket Lists! Tension of Opposites - One of the major themes early in Tuesdays with Morrie is tension, or 'Tension of Opposites,' as Morrie himself names it. I wanted my students to understand this, but I wanted to see how much they understood independently. So I made a worksheet. Who Am I/My Culture Paper - For one of the first major writing assignments in my English 10 classroom, I decided to have the students write a paper about three items that define them, 'Who Am I/My Culture Paper'. This began as an assignment/mini-speech [to read more about that, click here]. Who Am I/My Culture Assignment - To dig a little deeper and connect my Tuesdays with Morrie unit to Narrative writing, which my students have and will be doing for the remainder of the year, I decided to create a 'Who Am I/My Culture' Assignment. What’s Wrong with My Summer Essay? - Okay, this sounds a lot harsher than it actually was...sort of. Tuesdays with Morrie – Quiz 1 - After going through the book for several days as a class and having short Journal assignments and discussion, I decided to have a reading pop-quiz. ALS Web Quest - Sometimes to understand a concept fully, students need to research and learn about the concept outside of the classroom discussion. This I've learned with Tuesdays with Morrie and his condition ALS [Amyotrophic Lateral Sclerosis]. Employability Skills - What are 'Employability Skills'? According to MCHS and the rest of the district, Employability Skills are a set of standards that meet criteria such as responsibility, thinking creatively and critically, or being a self-directed learner, just to name a few. Journal 1 – Connecting Student Lives to Tuesdays with Morrie - Students connect with a text when they are able to relate the content to their personal lives and make deeper, more personal connections. Tuesdays With Morrie – Online Text - Let's face it. Students aren't always going to follow directions and bring their books to class, despite our best efforts to remind them. It's the sad reality about being a teacher. Connecting Lessons to Real-Life: The Ice-Bucket Challenge [and more!] - As an intro activity to my English 10 class' first major reading, Tuesdays with Morrie, I wanted to talk about ALS and the complications of that disease since the main character, Morrie, struggles with ALS. Intro to the Scarlet Letter - So how do you start teaching The Scarlet Letter? Where do you begin? What Is My America? - One of my first assignments for my 11th grade American Literature class was called 'What Is My America?'. Weekly Goal #1 - My goal with my English 10 students, specifically, is to find ways to get them engaged in the material. Perhaps small group work, or with having them write something than share it will be more effective in getting them to speak up and share independently. 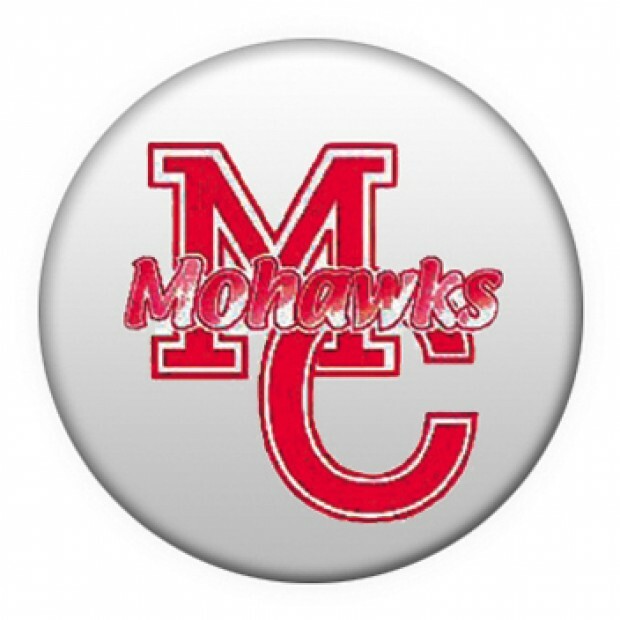 Easy-Peasy Jeopardy Game - Today was New Mohawk Day at MCHS, a day where freshmen students get acquainted with school policies, such as reading the handbook...but I thought this was suuuuper boring! I wanted to spice things up! So I decided to create a jeopardy game of all the main points from the handbook! Pre-Placement Meeting: Round 1 - Today I met with my first placement cooperating teacher, Mrs. Stanton. She's a wonderful lady, and last fall I was able to have clinical hours with her on Fridays, so I was already comfortable with her and her teaching style--I was eager to start! Developing Introductions – Narrative Short Story Lesson - For my Narrative Unit [with my Mason City High School sophomores], I had them first create a narrative 'Day in the Life' Comic, and then work on taking their comic and creating a short [1-2 paragraph] narrative story based on it. Narrative Writing: From Comic to Short Story - For my Narrative Unit [with Mason City High School sophomores], I had them create a ‘Day in the Life’ Comic, documenting, in first-person, and using the elements of narrative, a day in their personal lives. A Day in the Life Comic - Fall 2014: As a part of my Narrative/Self-Writing Unit with my Mason City High School 10th graders, I wanted students to be comfortable writing about themselves, so I decided to create a comic activity, one that would bridge the gap between writing and drawing, while also bringing in some creativity.